Join Us for Remax of Albany's 1st Annual Balloon Event Tonight! We look forward to seeing everyone tonight at Remax of Albany’s first annual Balloon Event benefitting Children’s Miracle Network at Phoebe! 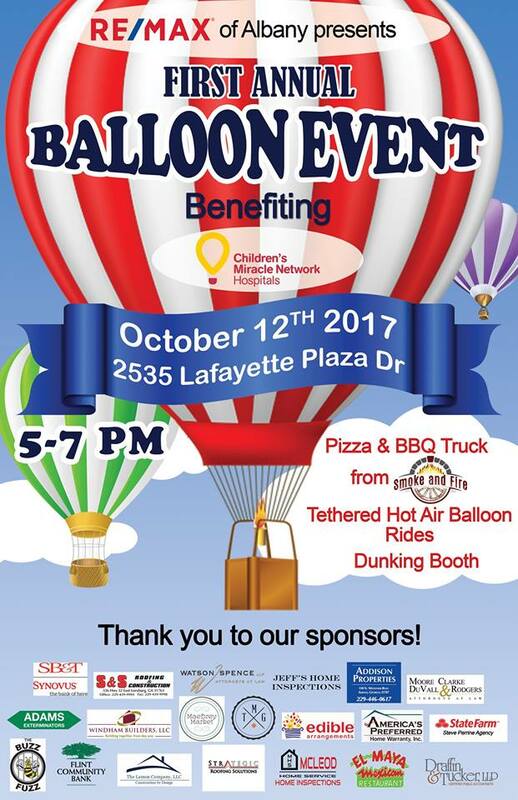 Come on out from 5-7 pm and bring the whole family for tethered hot air balloon rides, food trucks, dunking booth, carnival games, and more! Thank you Remax of Albany for your commitment to our local kids! Next post: Remax's 1st Annual Balloon Event a Huge Success!